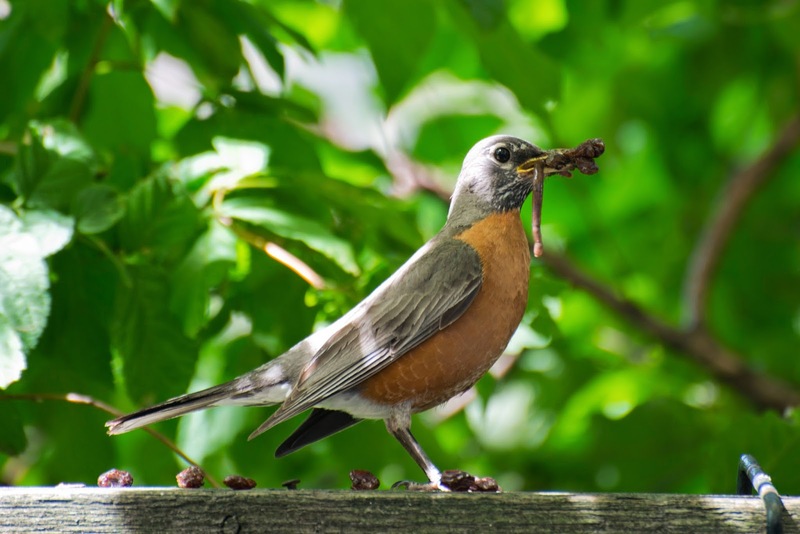 An American robin, Turdus migratorius, collecting food. A robin stayed in my Brooklyn garden all last winter. Click here to see him all puffed up against the cold. When spring came, a mate arrived and both of them came regularly to my porch for grapes and raisins. Every visit, each robin ate three or four raisins and then left. They had a predictable pattern. That changed yesterday. 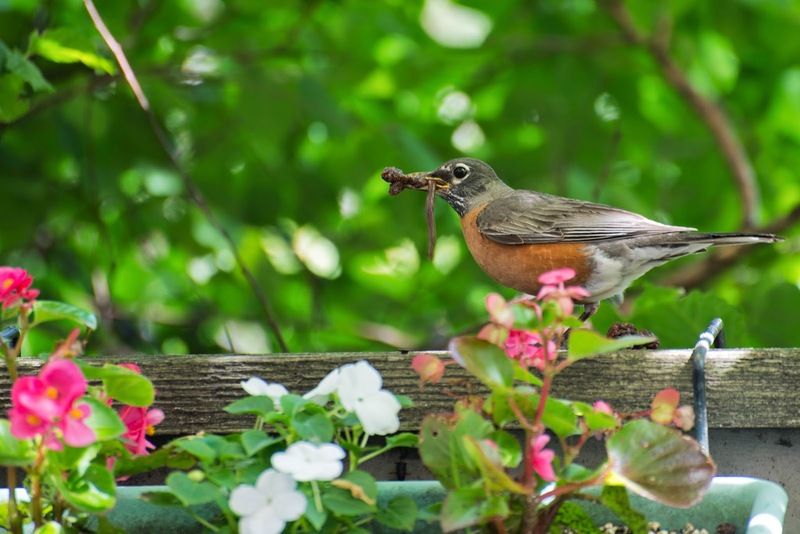 One of the robins landed on the porch with a worm in its beak and started picking up (but not eating) raisins, one after the other, as many as it could carry. Then it flew away. All day yesterday the robins gathered raisins by the beak full. A closer look. Click to enlarge. I count four raisins. 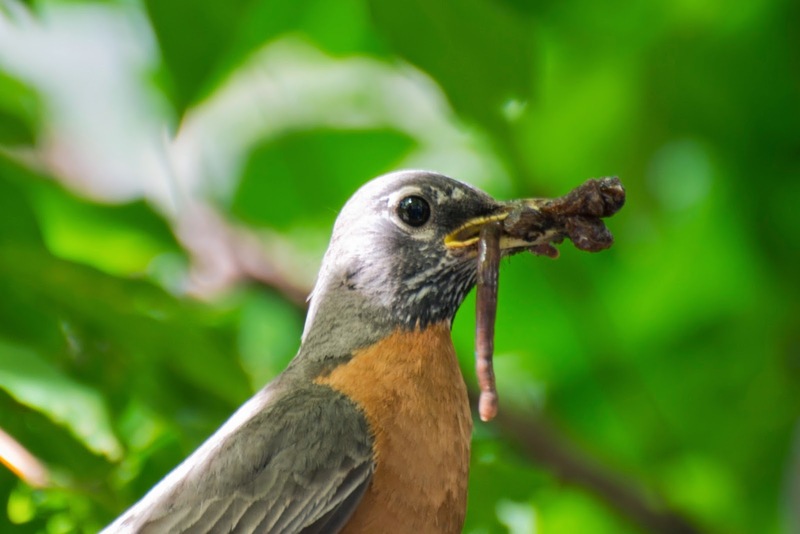 I haven't found their nest yet, but I'll bet there are some robin nestlings nearby -- sated with raisins and worms.